Transgender women are often victims of physical violence in immigration detention centers. The abuse from staff and other inmates in the detention centers has deep and profound effects on the women. One of the main jobs of authorities is to ensure the saftey of everyone in the evironment, and this includes those detained. Oftentimes, security guards and staff show bias towards inmates due to race, ethnicity, gender, or sexual orientation, which results in discrimination and mistreatment. These immoral and harmful acts cause many transgender women to feel unwelcome and unsafe in spaces where they are supposedly guaranteed safety. Some experience physical and sexual abuse while others are denied access to proper medical care, including HIV care and hormone replacement therapy. Society may or may not be aware of these offenses but we should try to put our voice out there to inform people and possibly to reduce the mistreatment. Just like every human being, transgender women should have the rights for medicare and the freedom to show who they are without being afraid of someone violently fighting them. Transgender women from other countries and who are trying to escape abusive relationships and people come to the United States as refugees thinking they are going to be saved from these abuses but they learn that no matter where they are they will be hated against. Many of these women spend weeks, months and even years in detention centers waiting for the government to solve their cases. While in these places they are also sexually abused by their cellmates and guards. Many of these crimes are not reported because victims are afraid and they have an idea that there will not be justice. Immigrants from several countries have fled to the United States for a variety of reasons throughout history. Transgender women of color specifically migrate to seek asylum from their countries. Within their mother countries, transgender women face sexual and physical abuse, discrimination, lack of resources and in extreme cases even death. Particularly for Latinx transgender women, forces such as machismo, heteronormativity, and religion do not allow these women to be open within their culture which then causes a barrier identifying with their Latinidad. These women have no space in the Latinx culture due to how binary and hetero based it is. Machismo is to blame for most of the violence these women face due to the patriarchy it perpetuates. Machismo is aggressive masculine pride that distinguishes women as inferior and creates a set of expectations for men. To be assigned male at birth and not live up to the “manly” expectations established by your culture already sets you up as an outcast, but to then defy machismo and identify as a female is detrimental as well. Because the Latinx culture is so rooted in machismo when someone deviates from the norms it can often result in social ostracization and violence. The Catholic religion is heavily practiced across the Latinx culture which supports machismo ideology as well. The Catholic church believes homosexuality is a sin and those who participate go to hell. Catholicism, machismo, and heteronormativity go hand in hand in the exclusion of trans women in the Latinx community which can cause them to migrate and leave behind everything they own. Once in America, these women are placed in detention centers where they face all types of abuse, which is ironic because this is what they were trying to flee from in the first place. These women spend an estimated 103 days in detention before released with legal representation but without it, their chances of release drop to three percent. In most detention centers trans women are placed in isolation to ensure “safety”, but this could be avoided simply by placing them in a women’s detention center. Racism and xenophobia have been present since the early colonial period. America passed the Emergency Quota Act in 1921 which limited the amount of immigrants per year. This stems from xenophobia and mirrors the issues within immigration today. Bills against immigration are introduced based on the fear that immigrants will take “real Americans'” jobs, resulting in racism and violence. This is also one of the reasons why immigration has become a larger issue in today’s politics. Fears that immigrants will steal jobs or otherwise harm the economy are entirely false yet can be found across the United States. This causes stricter immigration laws, placing more and more people in detention centers. One of the many resources that we had is the book “Do You See How Much I’m Suffering Here?,” that talks about the injustices against Transgender Women from foreign countries in the U.S Immigration Detention. They come to this country as refugees but the U.S government does not give them the attention they deserve. They spend months and even years in detentions where they are denied medical care, hormone replacement, and the majority of them are sexually abused. Transgender women suffer as they face a lot of problems when placed in all male prisons. One time, a transgender woman was severely injured and raped 2,000 times by male prisoners (Worley par 1). She tried to escape but they just served her as high risk which means that they put her alongside with the most violent inmates. We don’t know that these things are going on today but a lot of transgender women face these problems every day when they are being sent to male prisons. This resource is important to use because we can inform others about these type of situations that are happening and hopefully in the future those people can pass that information to other people and that people to the next and in the future our society can become knowledgeable about this topic and they will no longer put transgender women in male prisons. Transgender women are being raped by both inmates and security guards. In one of the cases, three inmates attacked a transgender woman, she had multiple bleedings, she was taken to the clinic but they just cleaned her up. This shows how they don’t get proper health checks and they are in great danger of getting HIV and other diseases in these isolated places. There is no data showing these assaults because the prison staff never reports them to the government. Interviewer: How does Ghana view the LGBT+ Community? Interviewee: Well, in Ghana is known as a sin, is a crime, you can be killed if you are LGBTQ and its acceptable, so probably if I go back and someone kills me, the law can’t do anything against that person so yeah, there is nothing like an LGBT Community in Ghana. Interviewer: Why did you come to school here in Michigan? Interviewee: Basically because of the reasons I said, so basically I was going to get killed eventually if I stayed in Ghana my whole life so I had to just look for freedom. In this video, we see how Jennicet Gutierrez speaks out about transgender undocumented immigrants, while president Obama is giving his speech at the reception for LGBT pride month. She interrupts Obama’s speech by shouting out “President Obama! Please release all LGBTQ detention centers!” “President Obama! Stop the torture and abuse of trans women in detention centers!” Obama rudely responds, “No, no, no, no, no, no, hey listen, you’re in my house.” “Sh. Shame on you, you shouldn’t be doing this.” While Jennicet continued to speak out, the crowd collectively kept shushing and booing at her. One of the crowd members turned and shouted, “ This is not for you, this is for all of us!” President Obama asked to have her escorted. While being escorted Jennicet was chanting, “Not one more deportation! Nunca mas deportacion!” After leaving Obama jokes about her interruption dismisses the issue and continues his speech. This video is of importance because although Obama outwardly supports LGBTQ people, he still ignores those who do not identify as gay or lesbian. This is an example of erasure of transgender identities within LGBTQ activism. Obama’s reaction lowers the standard of respect to transgender people and response on transgender issues in our society. This video shows two transgender women’s stories. In the case of the first woman, she fled her country and was taken to a male detention center. There she spent six months enduring harassment and sexual assault. Although she left her home to seek asylum from such abuse, she was forced to suffer more after leaving. The second woman describes how she was captured and tortured by Honduran gang members. After leaving the country she was placed in a male housing facility and faced sexual harassment and abuse, which she was seen as at fault for “pretending” to be a woman and seducing men. Additionally, the women speak about the lack of medical care, including HIV medication and hormone replacement therapy, which are essential care items for many transgender women. There’s not a lot of knowledge when it comes to transgender women abused in immigration detentions. We need to be educated and aware about these topics that are very relevant in today’s time. 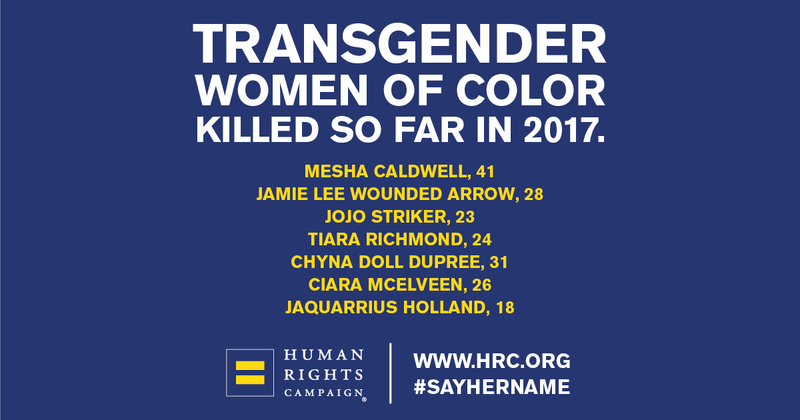 It is not talked about in the social media or news, and the more it is brought up, the more something can be done about it because it is still a huge issue, transgender are being abused for being who they are and especially transgender immigrant women who flee from their home countries. The more we educate our generation and everybody in general then that would open our eyes to these kinds of problems that are extremely relevant instead of keeping them unheard because just like everybody else their safety matters as well. When transgender women migrate to the United States, they arrive with nothing but the clothes on their back. Once they make contact with immigration officials, this often leads to their placement of detention centers which could very well be avoided with proper funding and legal services. When proper funding is provided, resources such as medical care, housing, lawyers, basic human necessities will become readily available. Medical care includes but is not limited to HIV medication, hormone replacement therapy, and psychological healthcare for issues such as trauma. Legal services include lawyers to help with cases, lawmakers that help pass new policies, and state/local agencies and transgender advocacy groups that ensure current regulations are being implemented. Social Media is a tool we could use to share what we know of what has been happening in jails and detention centers. There are millions of apps and websites that are used by people every day and we should take advantage of all these and the technology to get something good out of it. Most people have some kind of social media either facebook, Instagram, Twitter, etc. They are mostly used for entertainment purposes but they could be used to inform people of things going on around the world. If we took the time to share the information we have gathered, people not only in MSU but in our communities will be aware of the mistreatment by security guards towards inmates and transgender women in specific. This might not end the abuses but people might start the fight against the physical and sexual abuse towards transgender women. Not One More. “White House Pride Event Interrupted Over LGBTQ Detention.” Online video clip. YouTube. YouTube, 24 June 2015. Web. 22 April 2017. Stauffer, Brian. “Do you see How Much I’m Suffering Here?” Abuse against Transgender Women in US Immigration Detention. Human Rights Watch. 22 April 2017. New York, NY. “US: Transgender Women Abused in Immigration Detention.” Human Rights Watch. N.p., 23 Mar. 2016. Web. 27 Apr. 2017. Rinaldi, Tiziana. “She fled abuse in Mexico, and now this trans woman says she was abused in immigration detention too.” Public Radio International. N.p., 14 Apr. 2016. Web. 18 Feb. 2017. Worley, Will. “Transgender Woman ‘raped 2,000 Times’ in All-male Prison.” The Independent. Independent Digital News and Media, 18 Apr. 2016. Web. 24 Feb. 2017. Lo que es discutido en la Información de arriba. Las mujeres transgénero son víctimas de abusos y maltratos en prisiones y centros de detención por guardias y otros prisioneros. Las autoridades tienen que asegurarse de la seguridad para todos los prisioneros. Sin embargo, es triste saber que en muchos casos los guardias no hacen su trabajo y ponen en riesgo la seguridad de personas, especialmente las cuales pertenecen a grupos marginalizados. Las mujeres transgénero son uno de estos grupos y personas que forman parte de este grupo son víctimas de racismo y de abusos tanto mentales como físicos. En una gran cantidad de casos, mujeres transgénero son violadas por otros prisioneros y también por guardias. Por esa misma razón, no denuncian estos abusos porque saben que no tendrán justicia. Es importante saber que las cárceles y los centros de detención no brindan el apoyo que las mujeres transgénero necesitan, no reciben medicina ni hormonas cuando las necesitan y es por eso que su transición de hombre a mujer es más difícil de lo que tiene que ser. Lo único que podemos hacer es darle nuestro apoyo a las mujeres transgénero, no lo cambiaremos todo pero si compartimos esta información y educamos a la gente de lo que pasa en las cárceles y centros de detención podemos juntarnos para dejarle saber a las mujeres transgénero que no están solas y que pelearemos con ellas por su justicia.